Company may need to continue production South of the Border to meet strong demand. 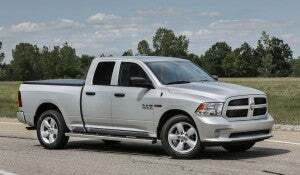 Fiat Chrysler outsold rival Ford Motor Co. in September, led by strong sales of its Ram pickup truck. While Fiat Chrysler Automobiles said Monday it is moving ahead with plans to shift production of its Ram pickup from Mexico to Michigan, a statement appeared to open up the opportunity that it will continue to build the newly redesigned truck at its Saltillo, Mexico plant. 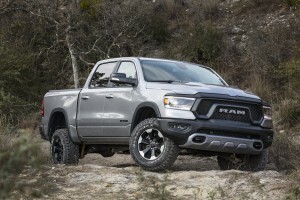 Such a decision would be a critical one by new FCA CEO Michael Manley and likely reflect the fact that demand for the 2019 Ram truck is so strong the company’s current U.S. operations simply can’t keep up, resulting in potential customers having to shift to products like the Ford F-Series and the two newly redesigned trucks launched this year by General Motors. “Moving the Ram Heavy Duty to Warren from Mexico is our plan of record. Of course, we always assess latest market and economic conditions when making significant industrial moves,” FCA said in a statement on Monday. The auto industry has been under heavy pressure from President Donald Trump to move production back to the U.S., then-candidate Trump warning months ahead of the election that he might move to impose tariffs of up to 25% on manufacturers who continued to import vehicles from Mexico. The move of Ram truck production to its Warren (MI) Truck plant may not be enough to keep up with demand for the new truck. Meanwhile, the automaker was wrapping up a $1 billion makeover of its Sterling Heights Assembly Plant, abandoning production of the Chrysler 200 sedan in favor of the medium-duty Ram 1500. Sterling Heights is a Detroit suburb, north of Warren. FCA had expected to have a strong seller on its hands with the makeover, but the new Ram has proven far more popular than even it imagined, the pickup already winning honors as the new Truck of Texas, while also considered a hot prospect to be named North American Truck of the Year. FCA split from its Detroit rivals in September by posting an increase in sales in an otherwise weak month. That was largely driven by soaring demand for SUVs and pickups, the Ram brand, in particular, scoring a 9% increase to reach its best-ever numbers for the month. The new Ram 1500, in particular, saw its sales climb 18%. The problem is that FCA doesn’t necessarily have the capacity to feed surging demand, at least not without adding another production source and, Manley told the news service, that may mean keeping the Saltillo plant in the loop. Marchionne never formally acknowledged that a move out of Mexico was driven by Trump’s threats. But now that a revised version of NAFTA is in place there seems little reason to worry about a new tariff on the Ram should it continue to come from Mexico. Whether Ram could nudge aside one of its rivals – first-place Ford or Chevrolet, with the traditionally second-ranked Silverado – is far from certain. Though several years older than its new FCA and GM rivals, Ford has taken a number of steps to keep the F-Series fresh, among other things adding both more powerful, rugged and luxurious variants. Chevy has not only updated the styling of the Silverado but added new features like an electrically operated tailgate. And it, too, has moved up-market with the new High Country edition. Pickups aren’t cheap, and automakers are only too happy to offer buyers new, upscale versions like Ford’s F-250 Limited model which can go for nearly $100,000 when fully loaded. On average, the mainstream F-150 carries an average transaction price of $42,389. With its own, new luxury version, FCA’s 2019 Ram 1500 has been average $46,856 since its introduction earlier this year. That’s made the Ram brand, along with Jeep, the foundation of FCA’s global earnings base. There is, of course, the possibility that keeping Saltillo on as a source of pickups for the U.S. market could trigger a series of angry tweets from the White House. But, as long as FCA plays by the rules of the NAFTA update it would be difficult for the administration to block such a move. And with so much profit at stake, Manley appears to be signaling precisely what he has in mind. This entry was posted on Monday, October 29th, 2018 at and is filed under Automakers, Automobiles, Business, Executives, FCA, Markets, NAFTA, Personalities, Pickups, Politicians, Ram, Sales, Sales, Trends, U.S./North America. You can follow any responses to this entry through the RSS 2.0 feed. Both comments and pings are currently closed.